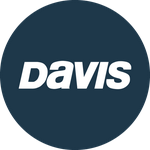 Davis Instruments Support, FAQs and Troubleshooting - Can I connect my CarChip to a Mac? All Categories ​>​ FAQ ​>​ Vehicle Monitoring ​>​ Can I connect my CarChip to a Mac? Can I replace my Vantage Connect battery?